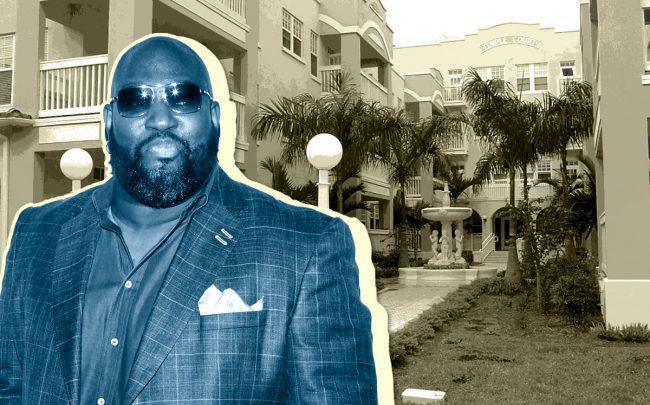 A company led by former Major League Baseball All-Star Mo Vaughn sold an affordable housing building in the Miami River District for $6.8 million. An affiliate of Vaughn’s Omni New York sold the 61-unit Temple Court Apartments at 431 Northwest Third Street for $111,475 per unit. The buyer is an affiliate of the Atlantic Housing Foundation, a Dallas-based affordable housing company. The development totals nearly 36,000 square feet and sits on a half-acre lot. The building, which dates back to 1920, was last purchased for $2.2 million in 2004, records show. Omni New York was founded in 2004 by Vaughn and Eugene Schneur. It has acquired or rehabilitated more than 7,800 units of affordable housing in New York state, according to its website. Vaughn started the company after he retired from baseball. Vaughn, whose nickname was “The Hit Dog,” played first baseman for the Boston Red Sox, the Anaheim Angels and the New York Mets. He won the American League’s Most Valuable Player award in 1995. South Florida suffers from a lack of affordable housing and consistently ranks as one of the most expensive places to live in the United States. Housing and Urban Development Secretary Ben Carson recently told The Real Deal that the agency will give developers preference for building affordable housing in designated Opportunity Zones.